Experience outstanding customer service, lasting results, and affordable window film pricing at Colorado Springs Window Film. Colorado Springs Window Film is the leading supplier of commercial and residential window tint in the Colorado Springs metropolitan area. In addition to our extensive product selection and flawless installation, our honest prices and reasonable rates make our company Colorado’s favorite window tinting contractor. Looking for an estimate for your project? Trying to get a better idea of what to expect? Look no further! We’re here to provide you with expert guidance and assistance. That’s why we’ve compiled the following information to help you understand the entire scope of window film pricing. Read below to find out how to select the right film, what factors are calculated into an install, prices of film, and more! Selecting the right film starts with identifying your project goals and needs. Once you’ve identified these key factors, you can then determine what type of film you need and begin comparing costs. Glare: Do you get a lot of glare on tv or computer screens in your building? Would you like to eliminate glare to improve screen viewing comfort? Fading: Do you have any new or valuable furnishings, artwork, or flooring in your home that needs protection from the sun to prevent fading and heat damage? Safety: Do you have safety or security concerns for your building, valuables, or occupants? Have you experienced issues with vandalism? Indoor comfort: How comfortable do you feel indoors? Do the people around you often complain of feeling too hot or cold? Energy cost: Looking for a way to save money by reducing your heating and cooling costs? Aesthetics: Do you have any decoration, branding, or promotional needs? Would you like to add privacy to certain areas of your building? Calculating the cost of window film installation is a fairly straightforward process. Typically there are three elements that affect the total cost of install. These include the cost of manufacturing the film, the level of service provided, and the extent of the project. Cost of manufacture: Low quality film is less expensive to manufacture. However, it tends to produce less than desirable results since low quality film is typically nothing more than thin sheets of polyester treated with dye. Higher quality films typically cost more, but perform much better since they contain multiple coatings of metal, dye, and ceramics. Project size and complexity: The larger or more difficult an installation is, the more it will cost. It requires more labor, equipment, and materials to complete projects of these types. This is fairly typical for high rise buildings. However, large commercial projects may be able to receive a discount. 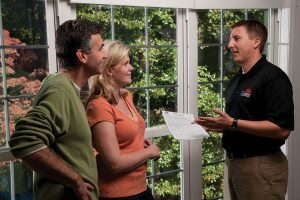 Quality of service and warranty: While a smaller, less experienced company may charge less, this is likely to be reflected in the results of your install. A larger, more established company can usually get the job done quickly, provide satisfactory results, and may offer a warranty with their services. Below you can find information about the price of film depending on type and style. Please note that this information is only to be used as a reference as actual costs may vary. Spectrally selective: Looking for a way to block heat, glare, or uv radiation? Spectrally selective film offers a solution. These films range from $9-18/sq foot. Low-E: For a year round solution, opt for Low-E film. Low-E improves occupant and lowers energy costs. These films usually start at $20/sq ft.
Safety & security: Need to ward off thieves, vandals, or crazy weather? Opt for safety and security film. These films range from $8-16/sq ft. with attachment systems priced at an extra $2-5/LFT. Bullet resistant: Protect your occupants and building from serious danger with bullet resistant film. This product averages around $125/sq ft. Decorative & frosted: Give your home or office a makeover with decorative or frosted film. Decorative films range from $6-12/sq ft.
Want to know the real cost of window film? Check out this story from the owner of Colorado Springs Window Film, Martin Faith! Have questions? 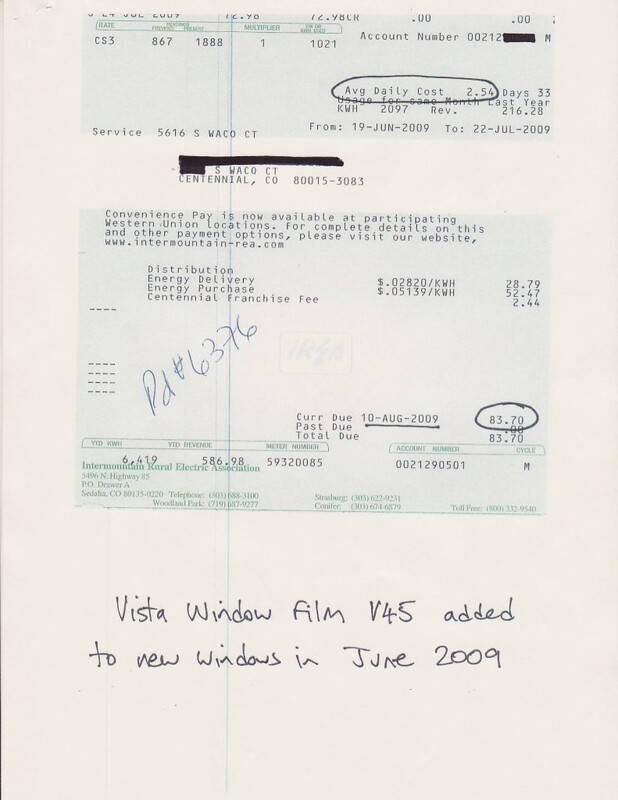 Need more information about window film pricing? Contact Colorado Springs Window Film. We’re the leading source for window tinting in Colorado Springs and the surrounding area!